In our second episode of this series, Mark and Alba talk about languages and their own language skills. In the intermedio, José provides two phrases which can be used to tell someone that they are annoying you. Language points include progressive tenses using estar + gerund, and a particular use of the future tense. 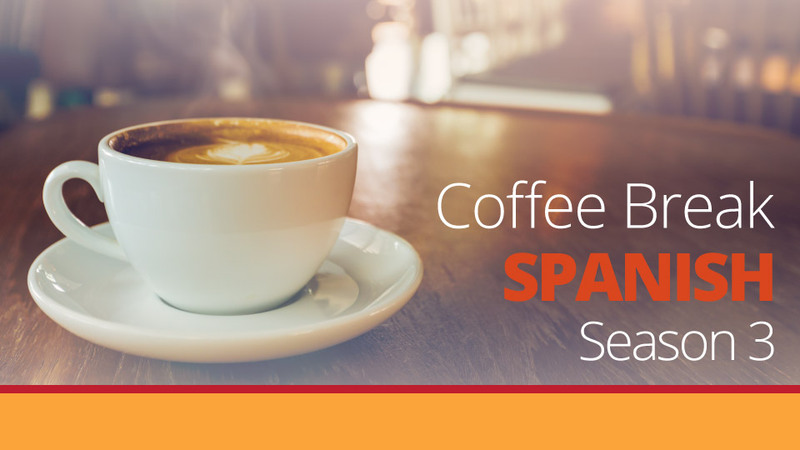 Please note that lesson 2 of Season 3 was originally known as lesson 302 of Coffee Break Spanish. We have renumbered the lessons of each season as lessons 1-40 to make things more simple for our listeners. Wow the free lessons are superb but the price of the premium stuff is astronomical ! No way can I afford that ! Lee I have to disagree with you on pricing. It is an absolutely amazing price. 40 main lessons, 40 bonus lessons and 80 PDF files as well for eighty pounds.Do the math which works out at 50 pence per file!! I did the first two seasons free but bought the third season and it has helped me oh so much. I really like the podcast, however, the premium stuff is way too expensive for me as well. I wish it was more affordable, the price in pounds for Canadians is just too high especially with our exchange rate. Hi Michelle. 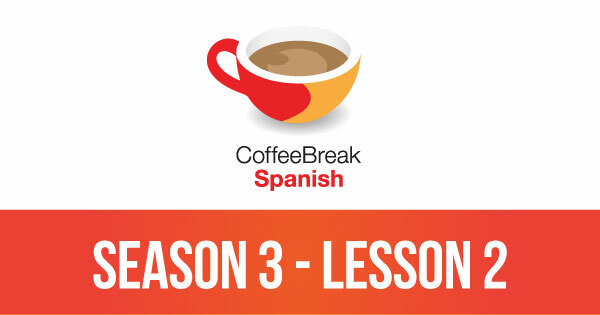 If you go to https://radiolingua.com/coffeebreakspanish and fill in your details in the “First Lesson Free” section, we’ll send you an email where you can choose your level and you’ll actually get the first three lessons of Season 3 to try. Hope that helps.